Look at these two! How can you not love this image, Forever My Always by Stamping Bella, which you can get from Dies to Die For? Aren't they just full of love and joy? They, with the sentiment, make me smile every time I look at them. And I am sooooooooooooo having lilac hair when I'm older!! Oh yeah. Wonderfully perfect in every single way and detail. All the way down to the beautiful lilac hair. Wow! Just the best image and sentiment ever Faye, super colouring and CAS design. Yer not baseing this on any one in particular r you! Hugs Muver. It's impossible not to love this image. 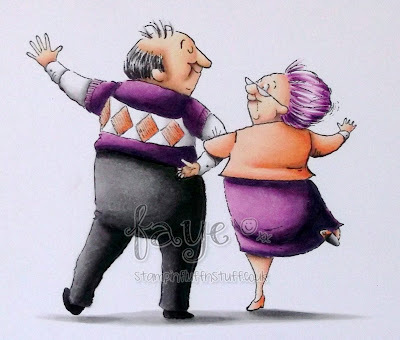 Kind of hoping hubby and I will look like something like this when we reach our golden years. Love your design! Wonderful image Faye, and of course great colouring, just perfect! A brilliant image and sentiment, fab card. Wonderful card and love that image. 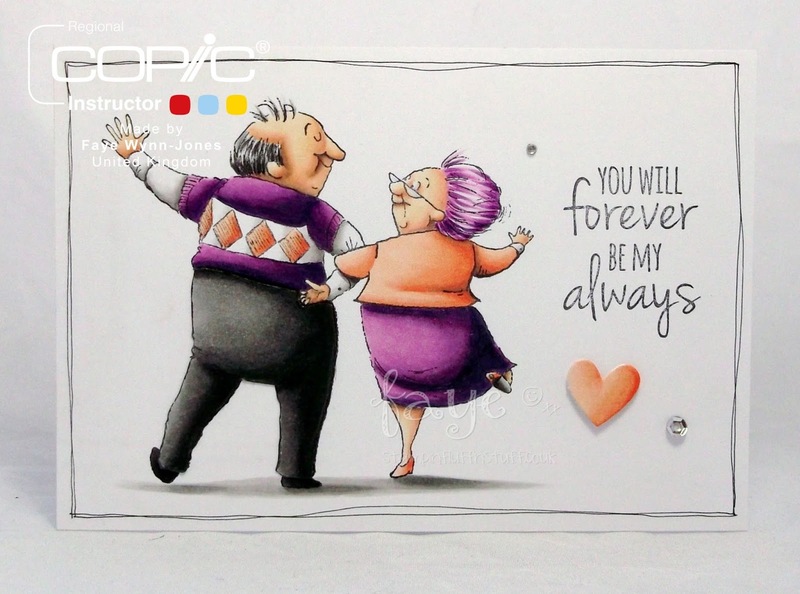 Faye, this is totally wonderful, divine colouring - and so lovely to see a card for the more mature couple! (laughing this end)!!! thumbs up to lilac hair! I think you may have cottoned on as to how much I love this one... I think I may just have to have my hair dyed purple! And then that sentiment.. awwwwwwwww!!! Love it all again Fluff... and it has one of THOSE hearts too! !